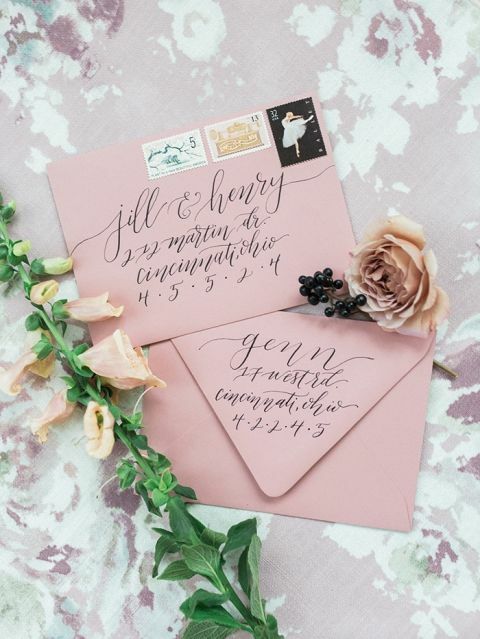 Who could resist the utter romance of this blush pink and mauve wedding shoot! 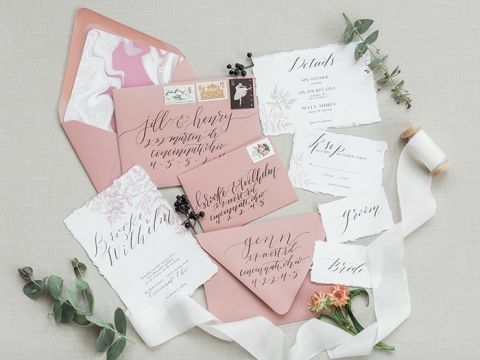 Inspired by the most dreamy pink floral wedding dress from Hayley Paige, this lovely wedding inspiration combines a rich color palette of moody pink and blue with rose gold decor, modern art details, and an elegant marbled cake! 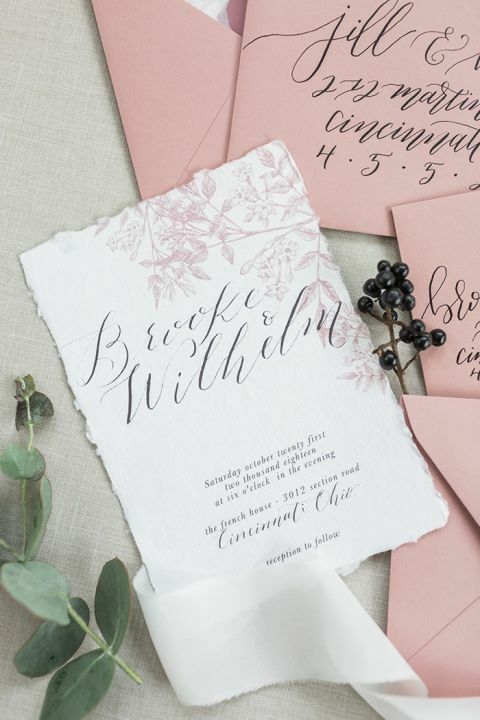 One July Photography and The Gifford Collective sought to capture a fresh twist on the historic beauty of Cincinnati’s The French House in this gorgeous shoot! A rainy morning couldn’t dampen the creative spirits of this talented Midwestern wedding team as they pulled together this lovely garden shoot! 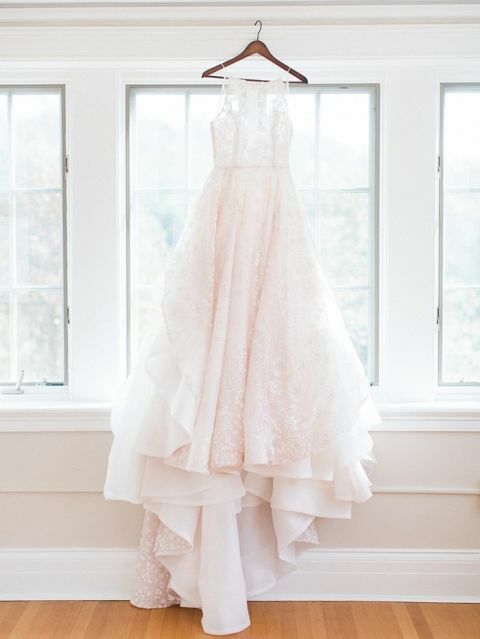 The luminous light added an ethereal quality to the bridal portraits capturing every details of the glittering blush Reagan wedding dress by Hayley Paige from Hyde Park Bridal. Floral designer Two Little Buds created a blush, peach, and mauve bridal bouquet that would stand out against the sparkling floral motif of the wedding gown, accented with greenery and a slate blue silk ribbon. The groom rocked a modern pink and black look with a sleek silver tie clip and watch. The historic brick facade of The French House welcomed guests to sit on the terrace and look over the acres of parklands and gardens. A rustic farm table set with raw silk table runners and rose gold centerpieces added a romantic touch to the venue, with taper candles and marbled tables numbers. The gorgeous cake from Haven Cincinnati combined the two trends, with a marbled tiered cake adorned with blush and burgundy sugar flowers!